With California on a precipice of a ballot initiative next year that could legalize marijuana recreationally, scores of cannabis startups are vying to capture what is the nation’s largest market in advance of such a big regulatory change. 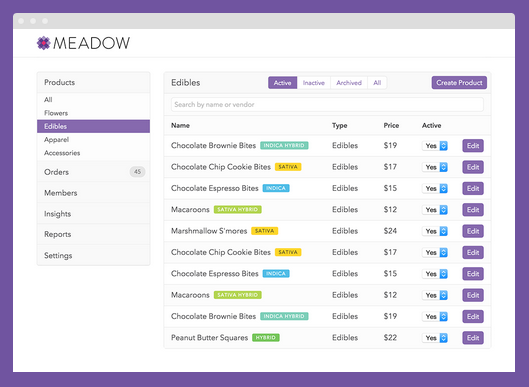 Meadow, a Y Combinator-backed startup, was one of the earlier ones with an ordering and delivery service for medicinal users that started about a year ago. While they have had a direct-to-consumer product for awhile, they’re now launching a more enterprise-focused product with Platform, a software suite for medical dispensaries to handle online and mobile ordering, delivery logistics, patient intake, and legal compliance. “All of these pieces are going to be connected in what becomes a seed-to-sale platform for marijuana that is home-grown in California and delivered by dispensaries for patients in California,” said CEO David Hua. 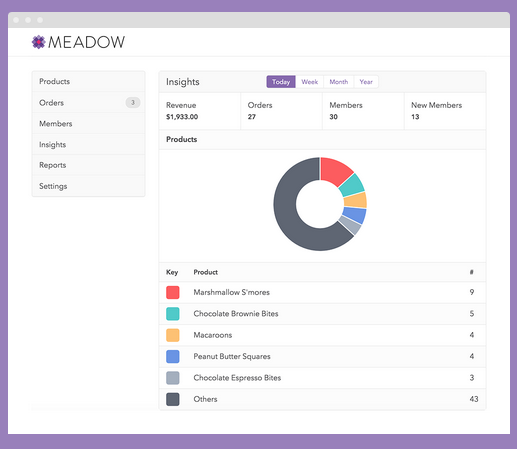 Hua compared Meadow’s model to being a “Grubhub for cannabis.” Instead of owning and packaging the entire product from end-to-end, the company partners with dispensaries. On platform, dispensaries can manage all of their products, orders and members and pull up analytics on how well sales are performing. They can see how many patients are joining, the top-selling products and they can toggle between data for different days or months of the year. They can track individual products like edibles or certain varietals of marijuana to see how well they’re selling and manage their pricing. It’s a Saas platform where dispensaries pay per month on the basis of how many customers they have. It’s a sliding scale. The company powers San Francisco dispensaries from The Apothecarium, BASA and SPARC. That stream of revenue comes in addition to the roughly 10 percent cut the company takes out of any direct-to-consumer sales the website or mobile app facilitates on behalf of dispensaries.